Filed to: Sales get!Filed to: Sales get! 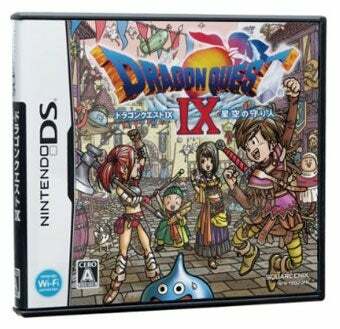 Square Enix released Dragon Quest IX on the Nintendo DS in Japan last week to long lines, over 2 million in sales, and virtually no competition. Want to see how impressively the portable role-playing game outsold its competition? You Too Can Experience The Dragon Quest IX Launch! Dragon Quest IX's 2.3 million in sales over the course of three days bested its nearest competitor, Wii Sports Resort, by a factor of roughly 23:1. Sure, Wii Sports Resort is still selling at a healthy rate—another 100,000-plus this week—but it's no Dragon Quest. Anyway. Like I said, there was really no competition. DQ IX is the only new title to make an appearance on this week's Japanese software chart.